Target Gift Guide (for the Home) & a $500 Gift Card Giveaway! Happy first of December, all! We are in the homestretch with 2014 and in just a few short weeks, we will be ringing in the new year. That’s just pure craziness. Before we start popping bottles of champagne for a new year, I know many of us still have quite a bit of holiday shopping to accomplish. It seems that lately, many couples – Ryan and I included – have purchased and moved into their first home. Well, what better time of year to receive house-warming gifts?! Target has been killing it this year with home decor and furnishings. From seasonal furnishings to perfectly-neutral accent pieces to practical household gadgets, you’re bound to find something that everybody and anybody would love in their own home (I know I would! … and maybe already do). And, guess what?! I’m teaming up with Kelcie and the following group of lovely ladies to give one lucky winner a $500 Target gift card! Can you imagine the amount of holiday shopping you could do with that kind of money at everyone’s favorite store? Don’t worry – we won’t judge you if you throw in a few things for yourself. The giveaway is now open and runs through Dec. 10. Good luck! Awesome giveaway, and awesome picks! Target has had great finds this year in the home department, I love all the gold and neutrals! Yes!!!! Love the giveaway and seriously doesn't Target have the best pieces right now! What a great giveaway!! You know that bench is on my wish list! Lol, I think we all would freak out! Who doesn't love Target, after all. 🙂 Hope you had a wonderful holiday, too! I'm so jealous! If I can find a spot for it in our entryway, that bench definitely will be making an appearance in the near future. Thanks, girly! 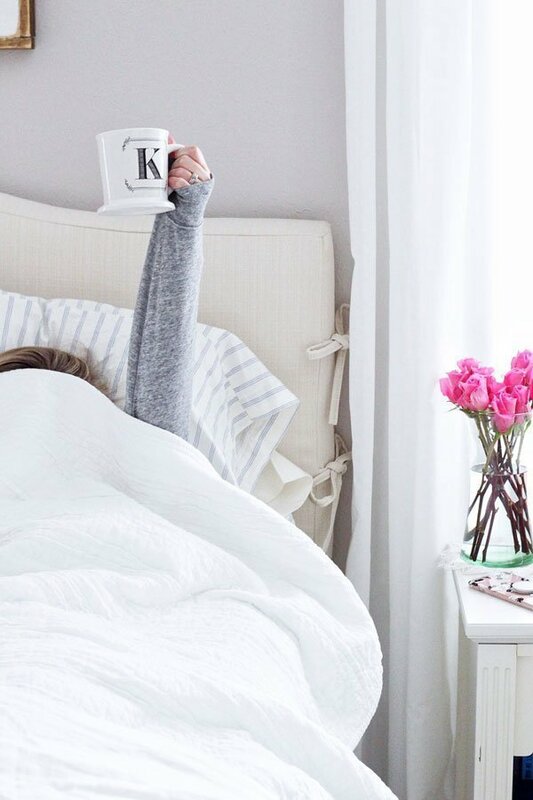 I definitely need to get some flannel sheets – they are so cozy for this time of year. I hope you had a wonderful Thanksgiving, too! I would freak if I won that gift card! Love that bench, hope you had a great holiday! 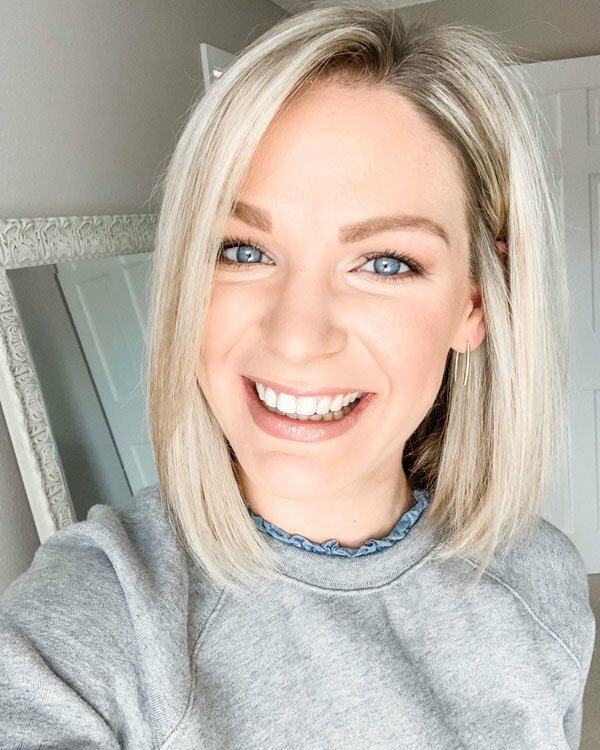 Amaaazing giveaway!! I have the tufted bench and LOVE it – I'm even considering getting a second. So excited for you and Ryan! Oh my goodness, me too! I'm always freezing, and flannel sheets are just so cozy for the winter. Oh, I know – I'm obsessed with that bench, too. I hope we can have it in our new home! We got the Houdini as a wedding gift at my bridal shower, and it's a great gadget to have! I think you'd like it. I know – I would love to have it in the entryway of our new home. Right?! Target is a one-stop shop! Right?! I'm secretly hoping to add a few of these items in our new home, ha! We got the Houdini as a wedding gift, and it is the greatest gadget. I highly recommend it! I could really go for the flannel sheet set. We need new sheets anyway so might as well get ones appropriate for the season. Plus, I'm always cold! 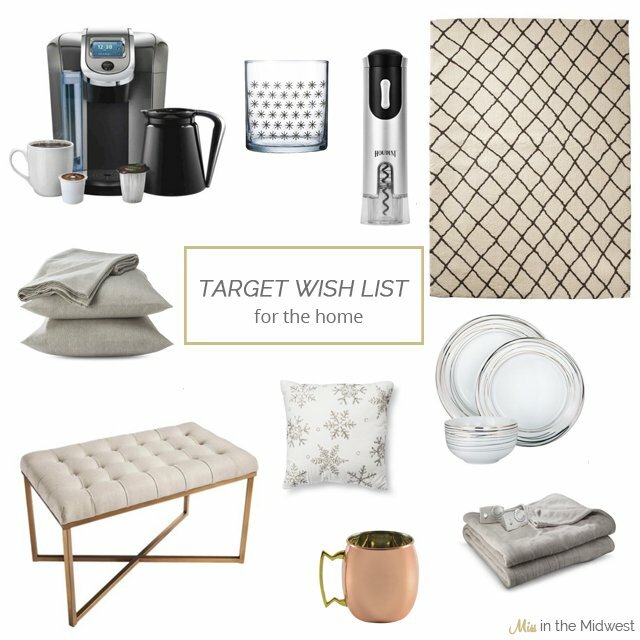 I love Target and this wishlist is fabulous! Excellent giveaway too girl! Woot woot! xoxo Happy Monday! What a fab giveaway lady!! Love all of your picks too. Dying over the moscow mule mugs, but I don't drink them! What an awesome giveaway! I've been lusting after that tufted bench too. It would go perfect with the bar cart I've been obsessing over! Who doesn't love Target?! So many pretty and useful things! That wine opener may end up on my list! Love the gift guide, so pretty! I need that bench!!!! So this gift guide…I can't buy all of these for myself?! I had no idea that Target had the electric wine opener – that is such a great gift!!! Thanks for hosting the great giveaway!! !